The job of a celebrity hairstylist is never boring…so many clients, so many events to attend! 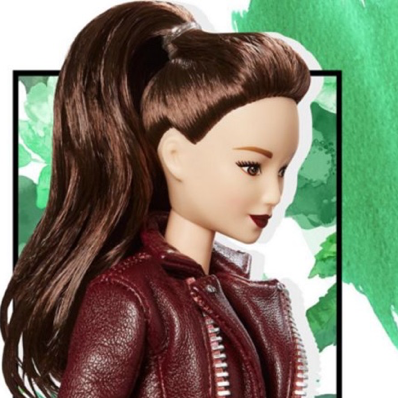 In what appears to be the real life execution of a many young girls dreams, top stylist Jen Atkin just announced she will be working in partnership with the makers of Barbie to create four of today’s hottest hair looks for the legendary doll. She may have worked with top celebrity clients, including the Kardashian’s, but she took to social media yesterday to share how excited she really is…“THIS IS A MAJOR DREAM COME TRUE...I literally still have my childhood barbies shoes and brushes!" Now I know that I am not the only one who still has her childhood Barbie…complete with the gowns my mother sewed for her. Below are all four of Jen Atkin’s one-of-a-kind Barbies. Read more about Jen Atkin and her Barbie collaboration on Glamour. This Hair Color is The Most Creative You Will EVER See!